Imagine Housing's mission is to develop affordable housing, build welcoming communities, and foster vibrant futures. 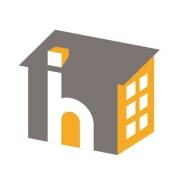 Imagine Housing is an affordable housing provider on the Eastside. We are home to over 1,200 people in Issaquah, Bellevue, Kirkland, Mercer Island, Redmond & Sammamish. We create welcoming, diverse communities in areas of opportunity for the Eastside's lowest-income families and individuals. We also offer on-site services and support to help our residents be stable, self-supporting and contributing members of our vibrant Eastside community. We create homes, opportunity, and hope through our permanent affordable homes, lively communities, and resident empowerment. Imagine Housing accepts donations. Donate Now. Would you recommend Imagine Housing? Really enjoyed getting to working with the tenants, Mrs. Washington, Brian, and Chris. Looking forward to my next opportunity with Imagine House.